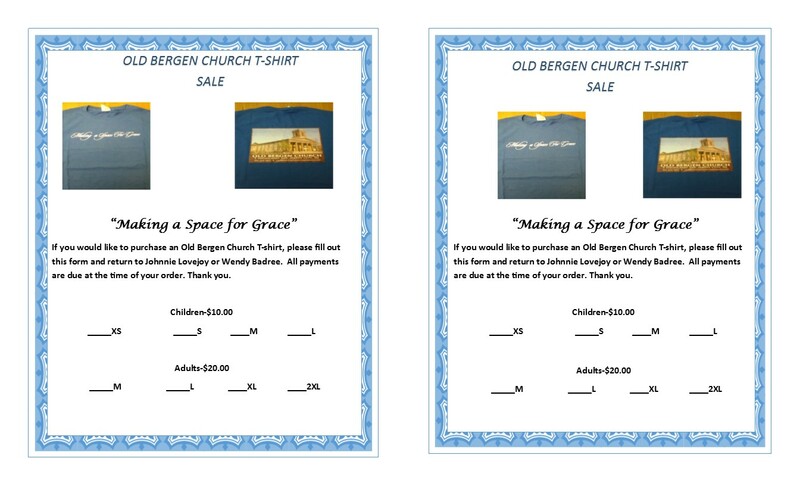 Old Bergen t-shirts are still on sale. They are $10 for children and $20 for adults. Please see Johnnie Lovejoy or Wendy Badree if you would like to purchase a t-shirt.